This article will go over the Loyalty History Report for customers who are part of the Loyalty program. This report can be looked up by Date and Customer or Both. 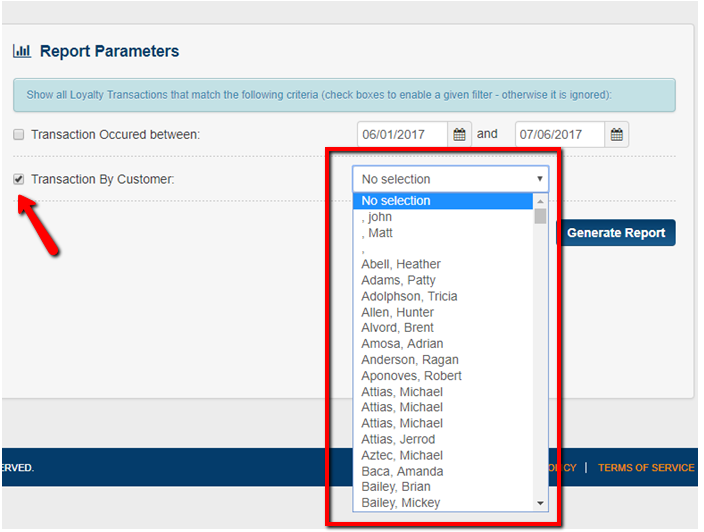 This report will show - the Date of the Entry - the Customer - what type of Action was last added for the customer - Pending Points - Available Points - Redeemed Points. 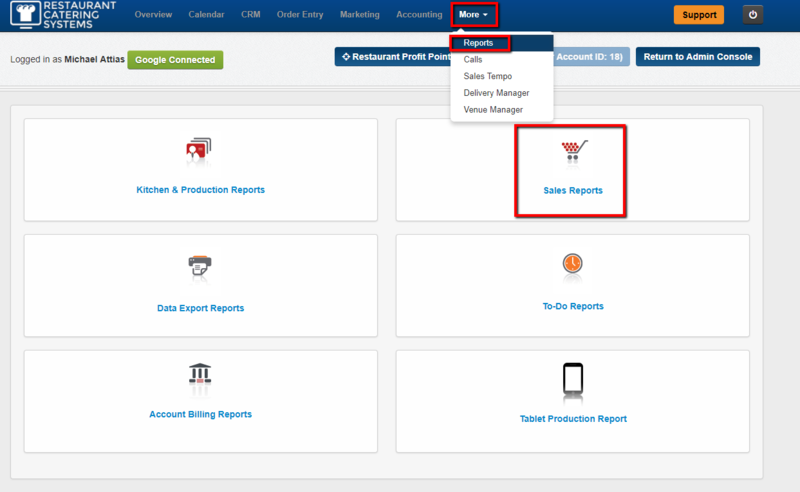 1 - Click on the More tab - then the Reports tab - then the Sales Reports Tab. 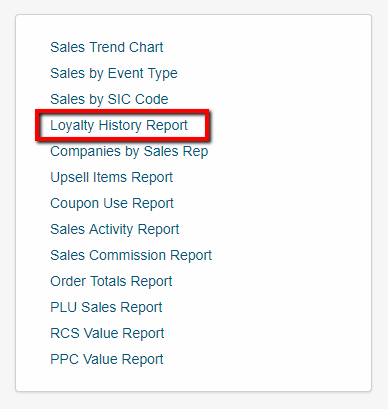 2 - Next click on the Loyalty History Report link. 4 - Remember to check off the Box of which option you want to look up. 5 - Once done click on the Generate Report tab. 7 - Note you can Print - Download - open in Excel - or Email this report. 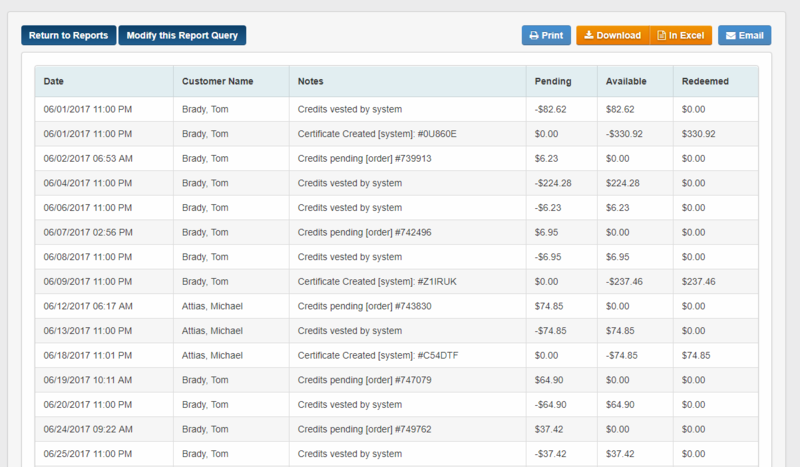 10 - You can also view when the date of when certificate was mailed to the client. You have now learned how to use the Loyalty History Report.